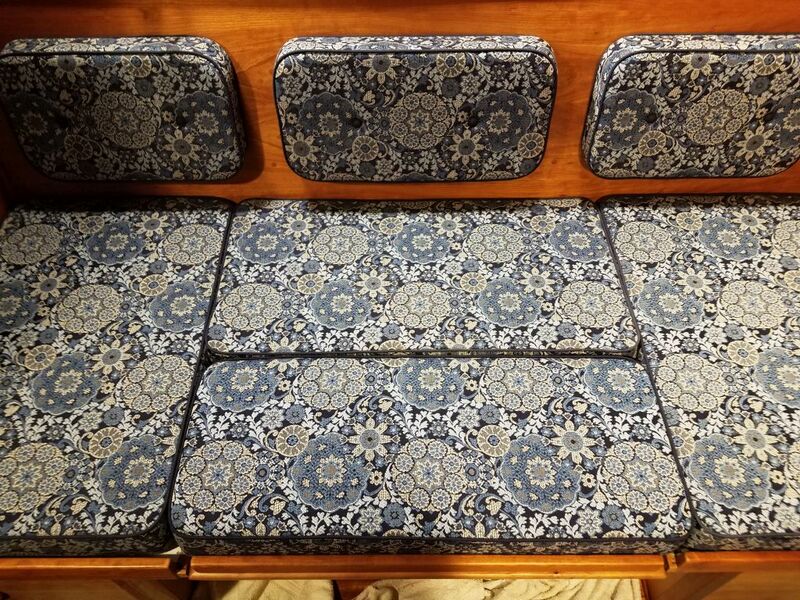 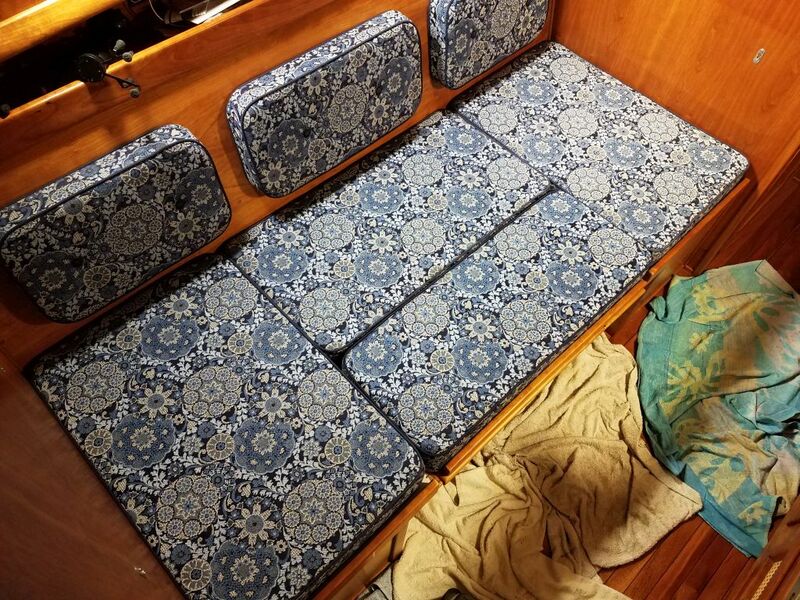 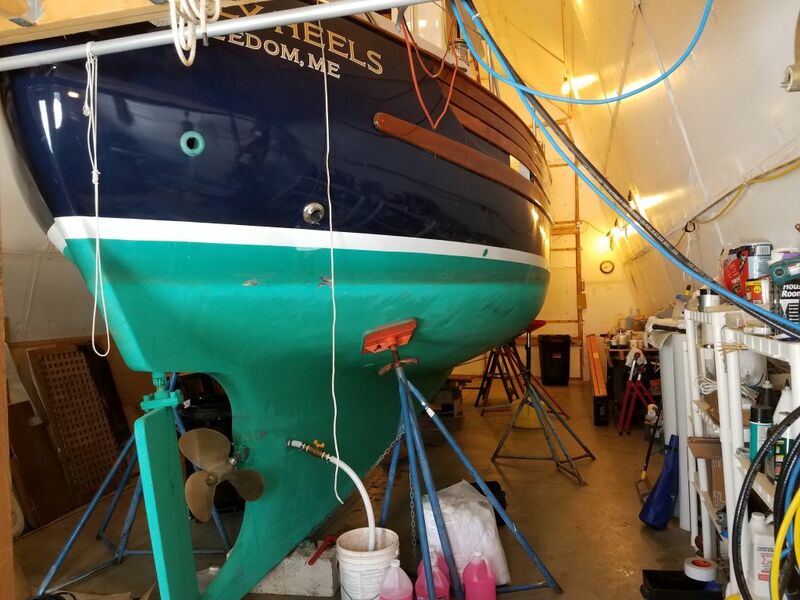 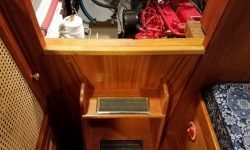 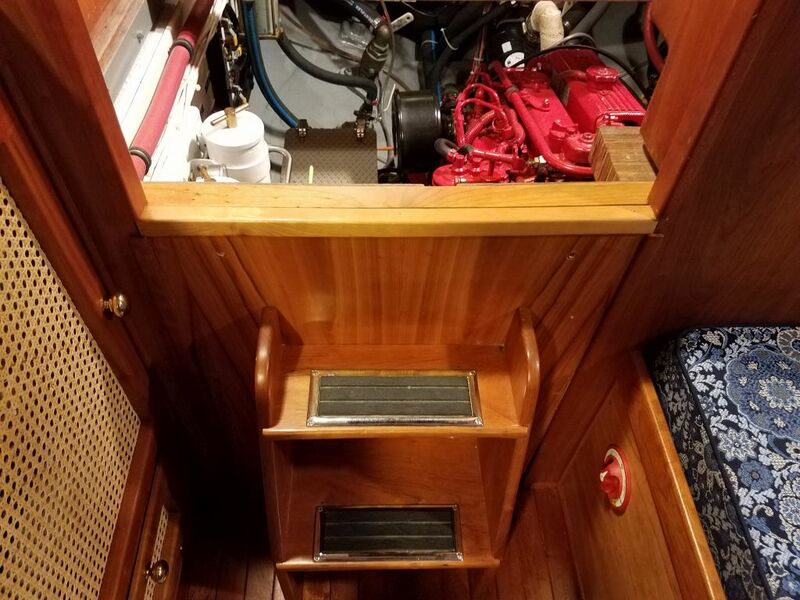 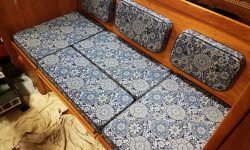 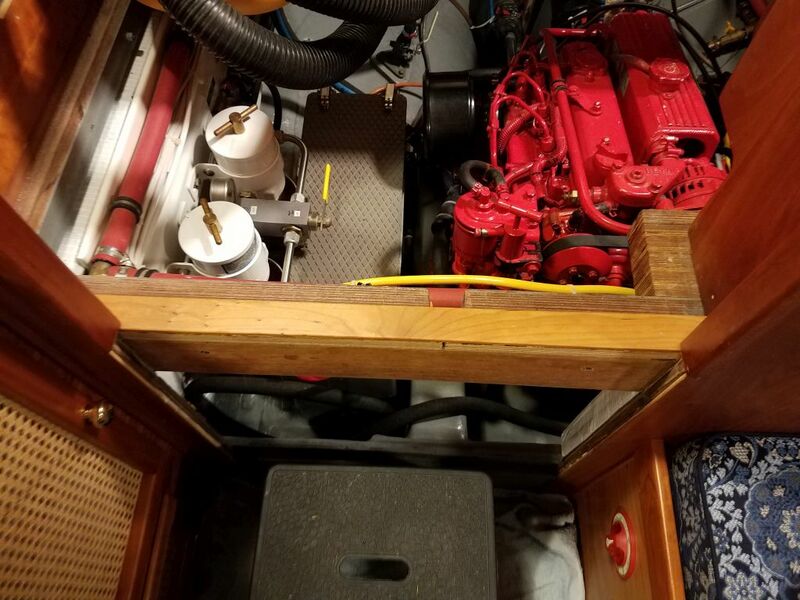 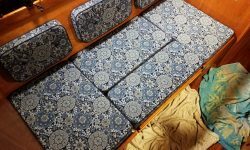 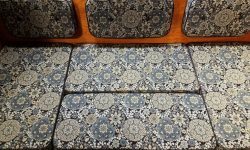 I had my trusted upholster make up a new filler cushion to fit in the required space, and with this now complete, along with the minor work I’d had to do on some of the trim pieces from last time, I made a quick trip to the boat to deliver the new cushion and finish up the installations. 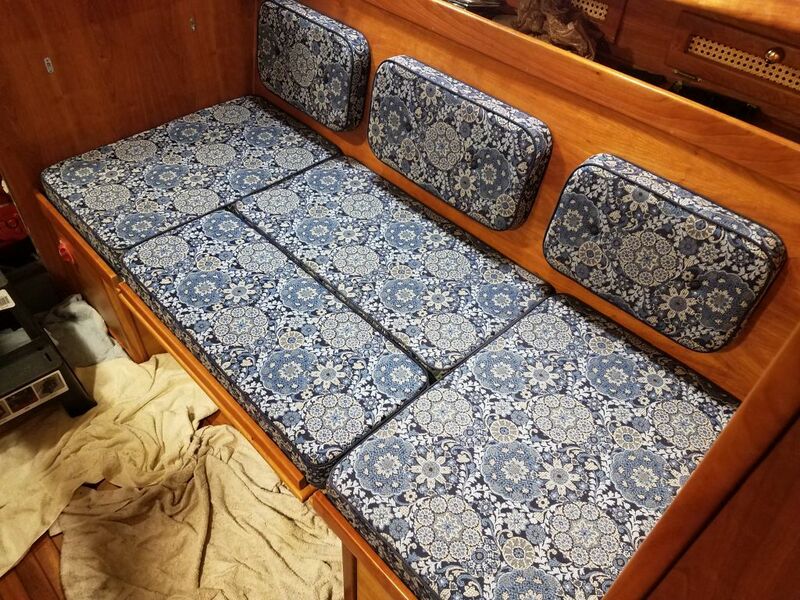 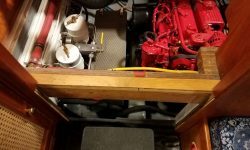 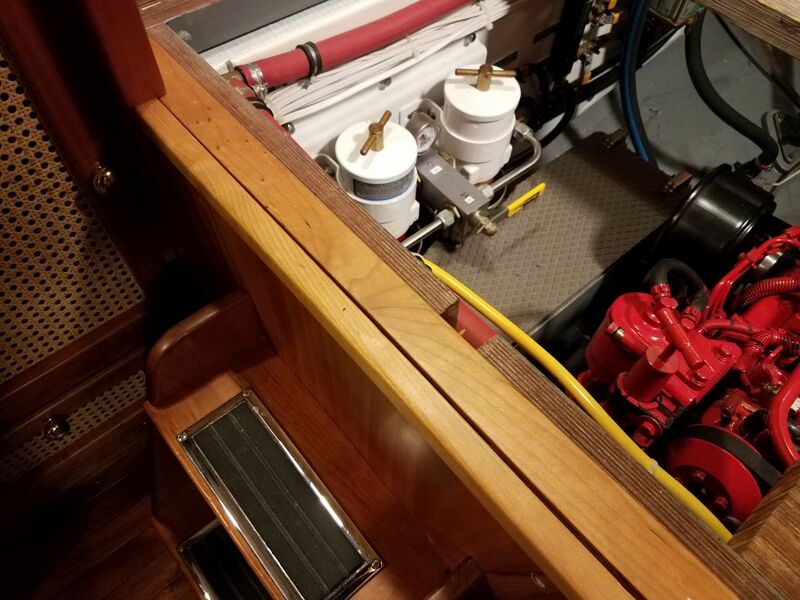 I also finished up the trim on the nearby companionway. 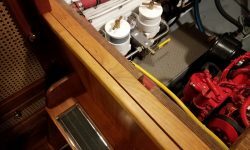 When the ladder unit is properly secured with the four thumbscrews that attach it to the structure beneath, the seam between the trims would become tight; for these photos, I just placed the ladder assembly in place loosely.